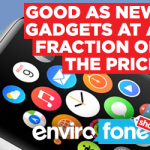 With over 15 years experience in the recycling industry, PhoneRecyclers have extensive IT expertise and specialise in electronics gadgets recycling with a friendly and efficient service. The team has combined knowledge of the electronics and software solution industries. Our experts are able to guide you through the process to ensure you achieve the best, most environmentally efficient recycling option for your electronics. Furthermore, our recycling scope extends to many other products including game consoles, game discs, MP3 players, cameras, tablets, computer parts, and so on. If you are upgrading, or no longer use your electronic device, contact PhoneRecyclers and make money now! At PhoneRecyclers, our streamlined online system makes it easy to carry out a valuation of your electronic product or mobile phone. Once you know the item’s value, just follow the simple stages to receive your money! With our secure website, as well as email and customer service telephone, we are contactable to provide support and instruction every step of the way. Connect with us via our social media platforms on Twitter, Facebook, LinkedIn, and Google+ to keep up-to-date with latest news and offers from PhoneRecyclers. Also, be sure to read our reviews to see what our many happy customers have to say. As well as having a highly customer-focussed business policy and a speedy service, we are committed to environmental sustainability via our Greener Earth program and the transformation of lives by improving access to water, hygiene, and sanitation in impoverished areas of the world. By using PhoneRecyclers, you can rest assured that you are not only receiving payment for your electronic goods, but are also participating in environmentally sustainable recycling practices. PhoneRecyclers’ centrally located Birmingham offices are open for business from 09:30 to 17:30 GMT weekdays (excluding bank holidays), and we pride ourselves on a customer service approach that is second to none in the industry. We seek to address all of your mobile phone and electronic recycling needs in a friendly and efficient manner whilst following best industry practices and regulations for the recycling and disposal of electronic materials. Our fully inclusive service is outlined clearly on our website and contains no hidden costs or unexpected surprises. Establishing trust and fostering long-term relationships with our consumer and corporate clients is important to us and we strive to be transparent and professional in all of our business activities. No job is too big or too small for PhoneRecyclers, so be sure to contact us with details of your specific requirements. Browse our website to search for your electronic device and receive an immediate valuation. We can receive your items singularly or in bulk and carry out thorough checks to assess the condition in order to respond to you with an accurate and rapid assessment. So make life easier and contact PhoneRecyclers, the professionals in the electronic recycling business.